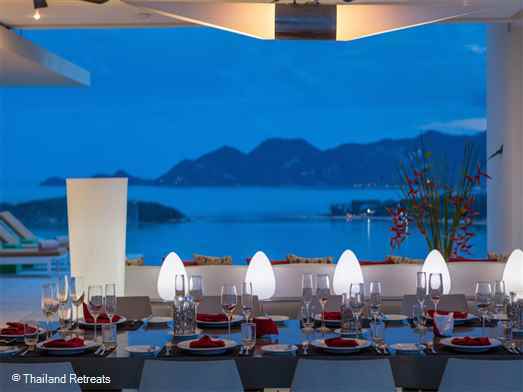 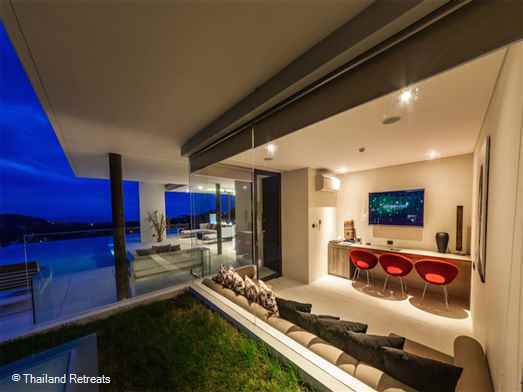 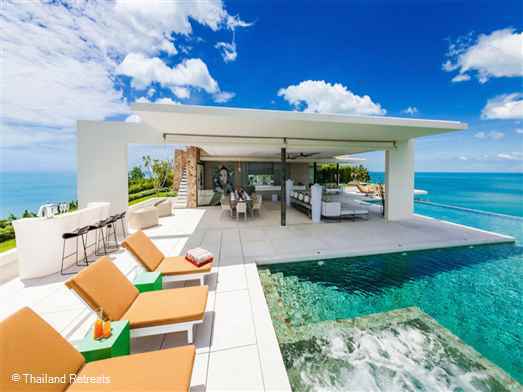 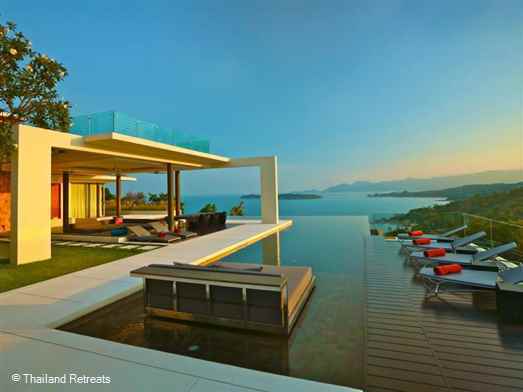 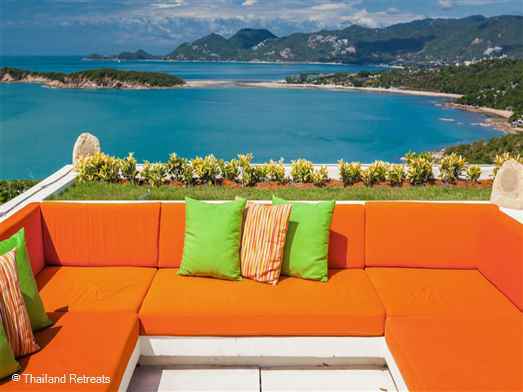 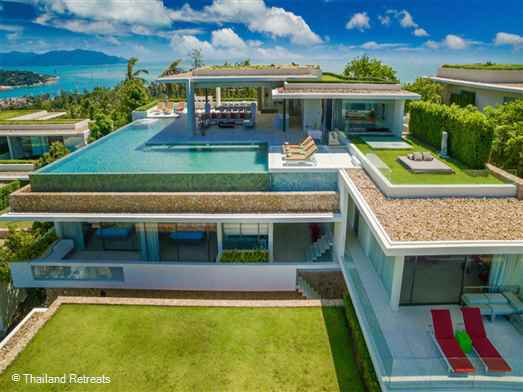 An awe inspiring panoramic ocean view villa with roof terrace, fitness room and cinema. 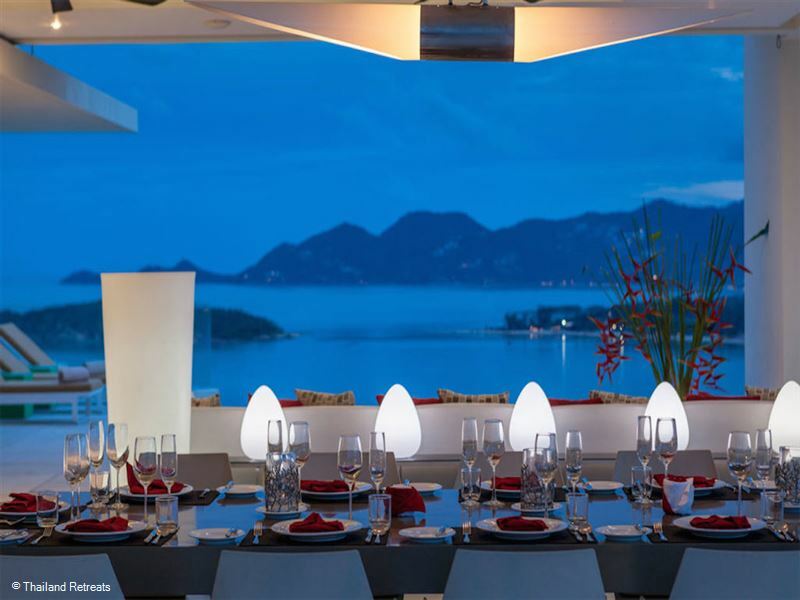 5 star service with private chef offers rates for, 4,5 and 6 bedrooms. 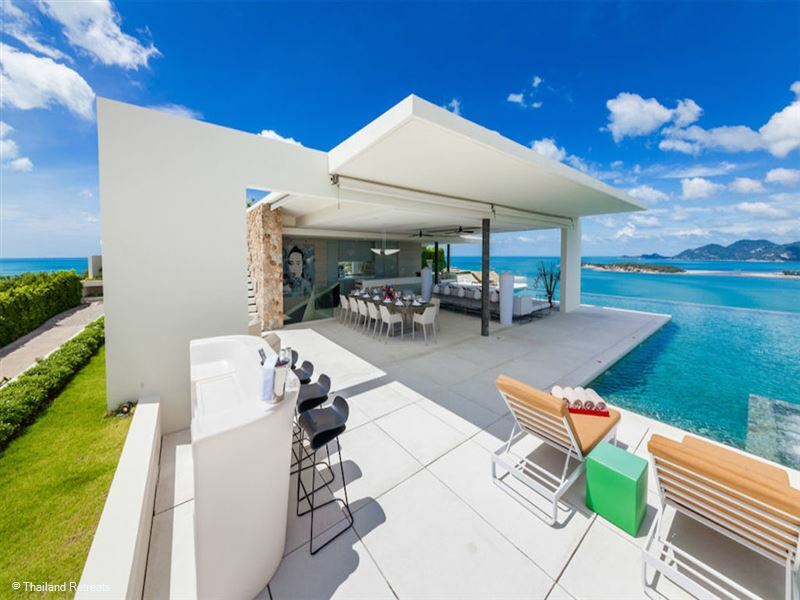 Panoramic scenery combines with modern exclusive features describes the exceptional character of the ethereal beauty and idyllic semblance of Villa Anavaya. 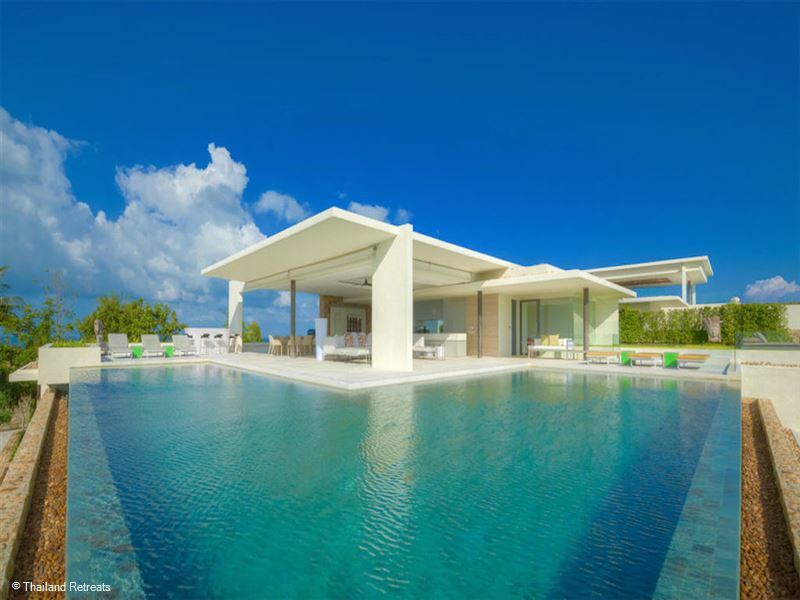 The beachside spectacle from the villa makes it buzz with a grandeur of excellence that is hard to match. 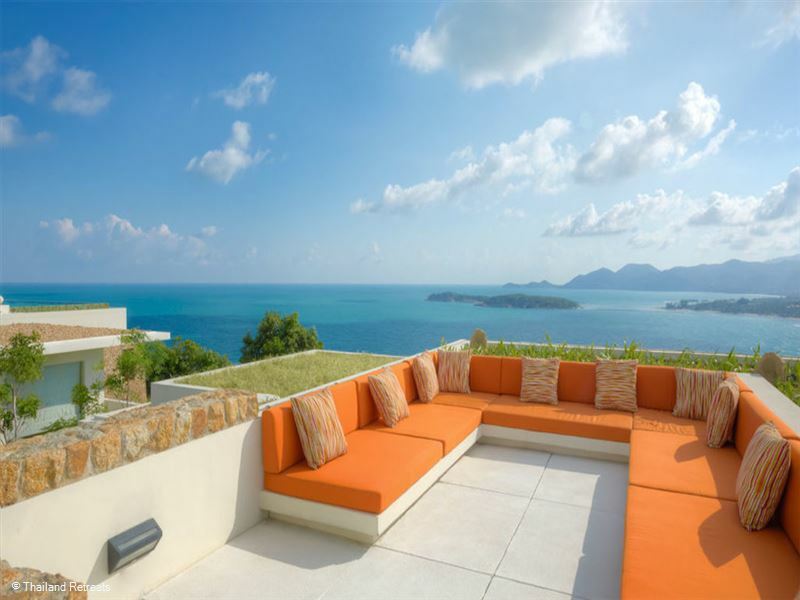 Villa Anavaya oozes with a modern and natural feel and with its extensive facilities; this villa can soothe your nerves and offer you a complete relaxation on your holiday. 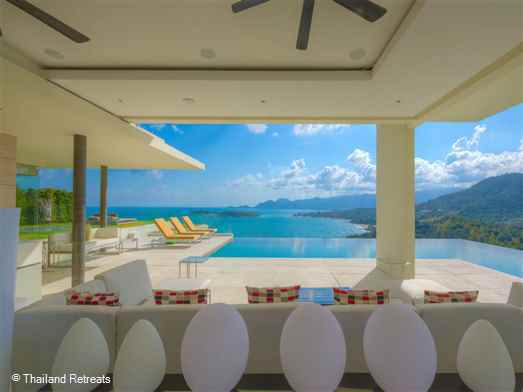 Carved out for a perfect vacation, Villa Anavaya was built in 2015 and renovated in 2017. 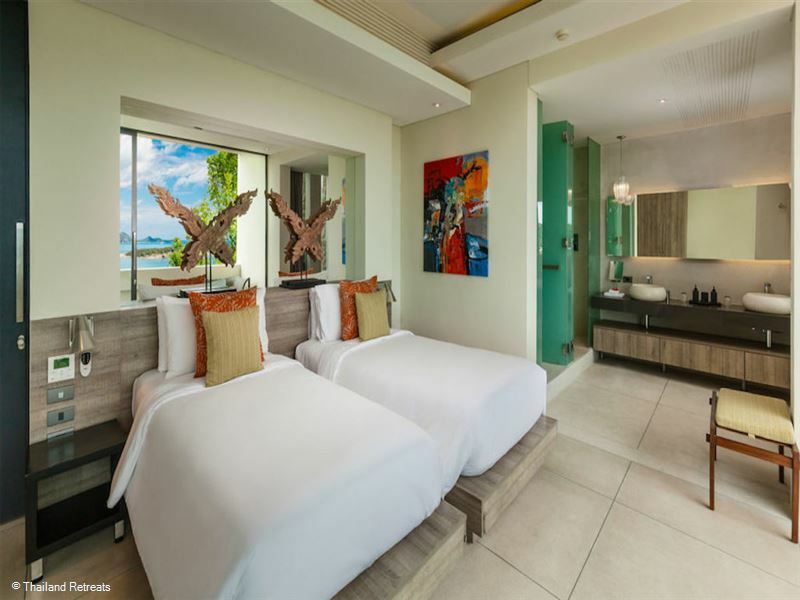 Each room in the villa is furnished with some of the most exclusive amenities that will make not want to leave the villa. The villa’s ground floor includes a ninety square meters master bedroom, a 45 square meters and a 50 square meters guest bedrooms, a media room, and a fitness room. The upper floor comprises a living and dining area, swimming pool area, bar area, TV room and study room, and the lower level includes three 45 square meters guest bedroom. 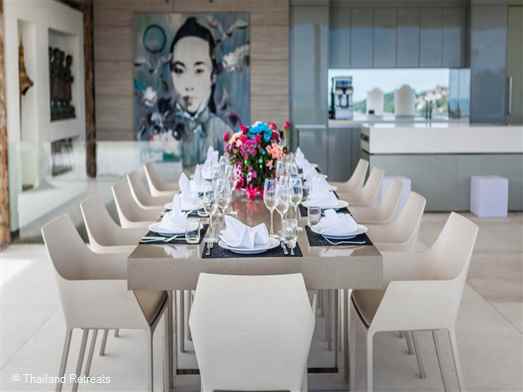 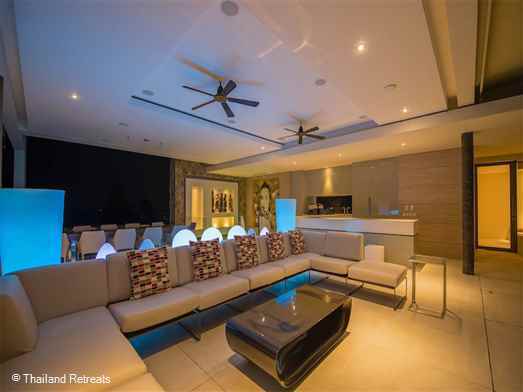 Each section of Villa Anavaya is filled with highly convenient and opulent features. 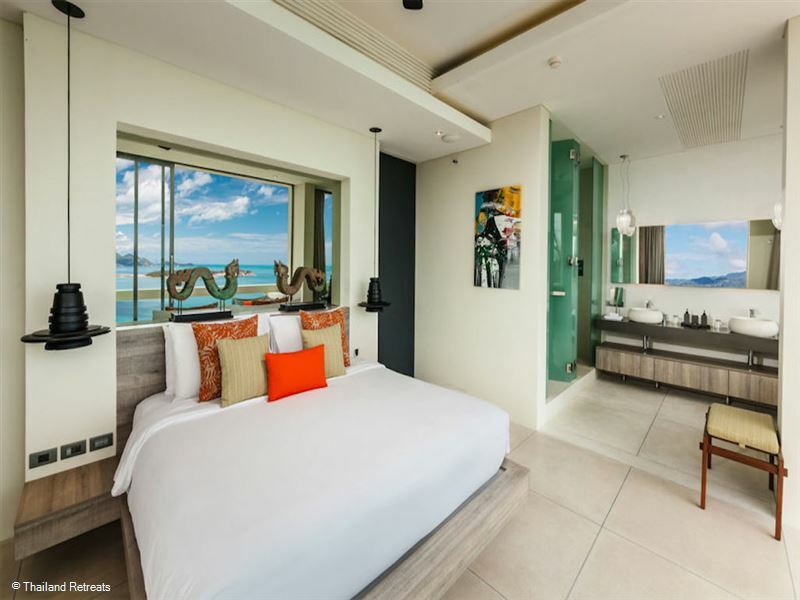 The master bedroom provides a vista of the island’s beachside and blue ocean. 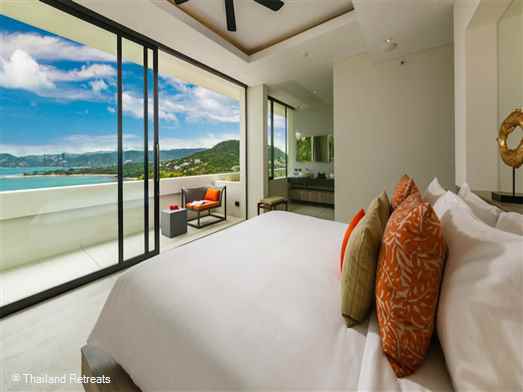 Relaxing on the master bedroom super king size bed will grant you a panoramic view of the natural surrounding. The master bedroom and the guest rooms share a similar feature of a neatly decorated outdoor balcony with a sofa and two lounge chairs to allow you to enjoy the scenery around. 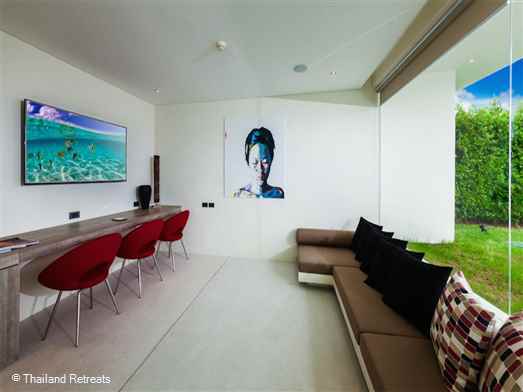 Villa Anavaya pays keen attention to the maintenance of the peaceful atmosphere of the villa. The neat and well-decorated bar and kitchen make visitors feel at home with the palatable culinary prepared by the highly skilled chef. 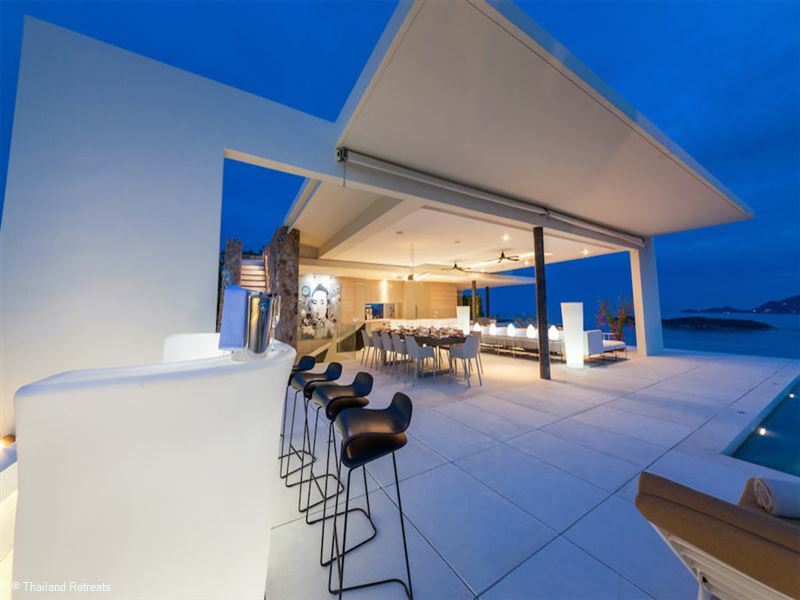 Villa Anavaya has well-trained dedicated staff which includes a private chef, and a manager. 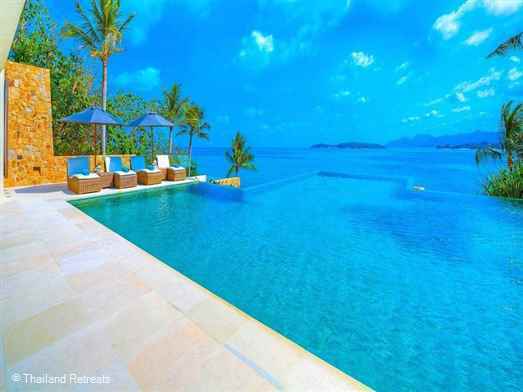 The staff ensures that the serenity, neatness, and grandeur of the villa, as well as the 5-star service, are maintained, to keep you satisfied throughout your vacation. 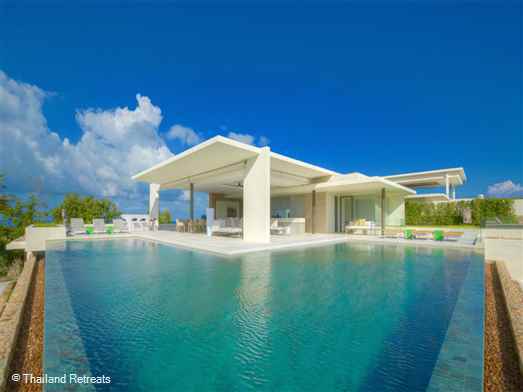 A luxury 5 bedroom (plus bunk bed room) very private oceanfront villa with a huge swimming pool and fitness equipment. 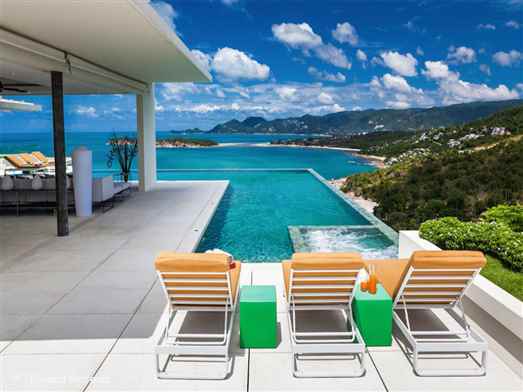 Communal tennis court. 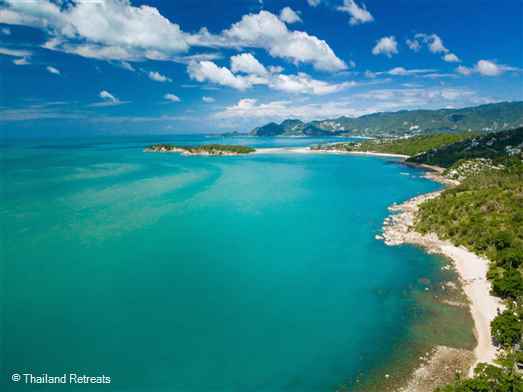 5 minutes to popular beaches. 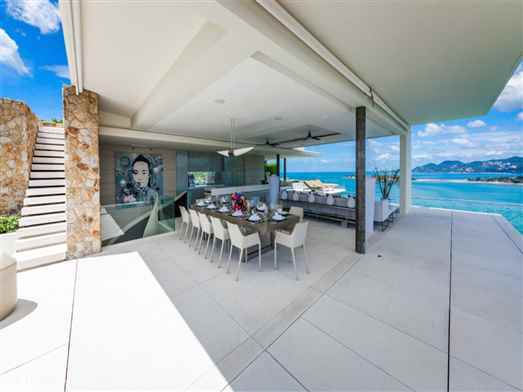 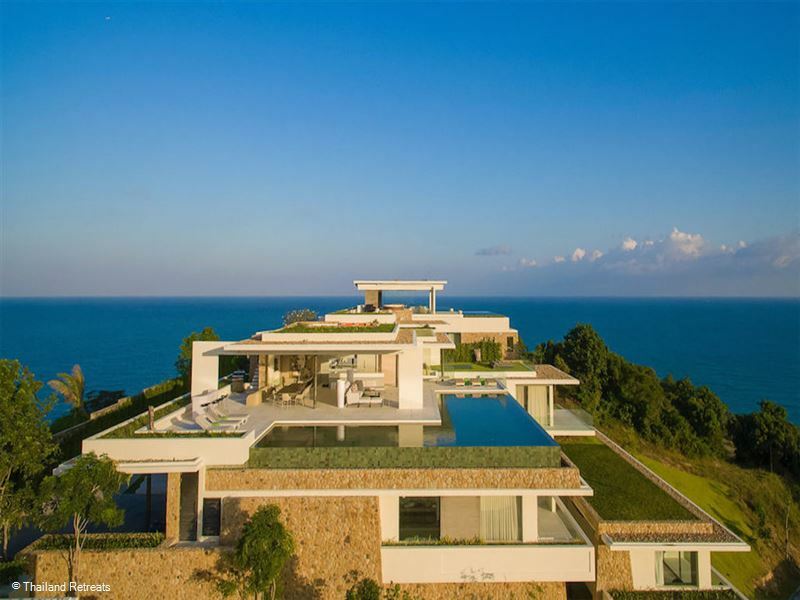 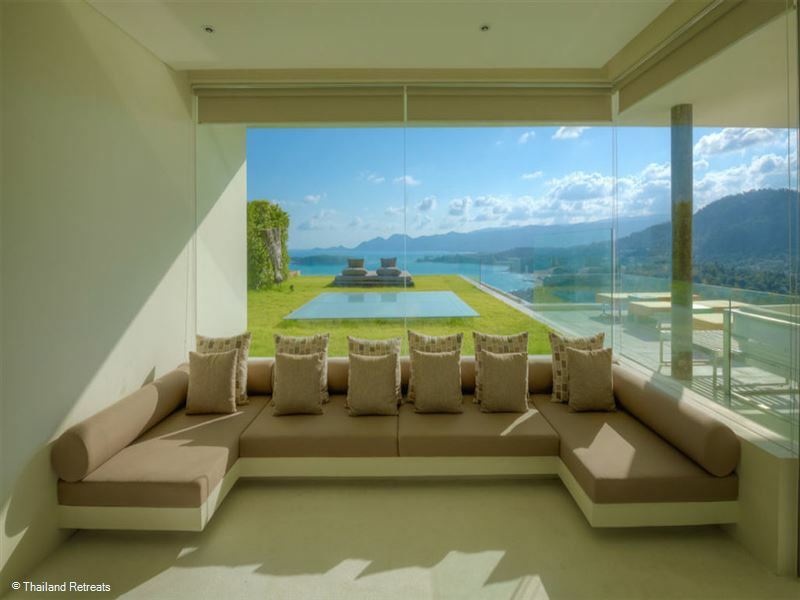 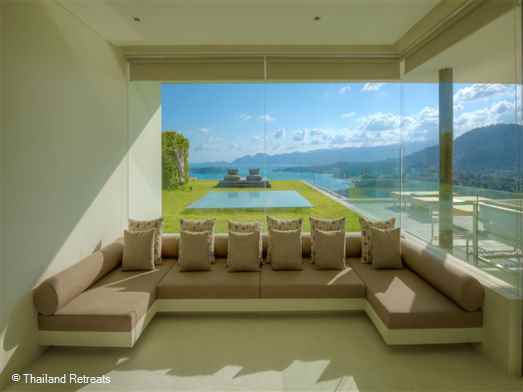 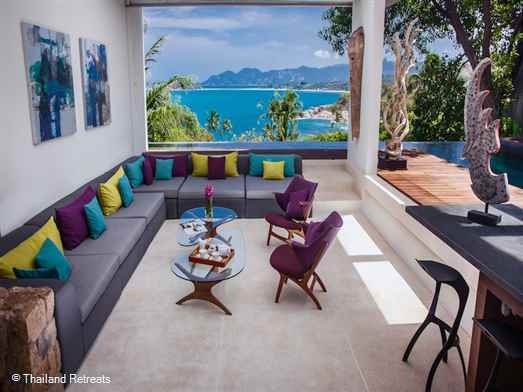 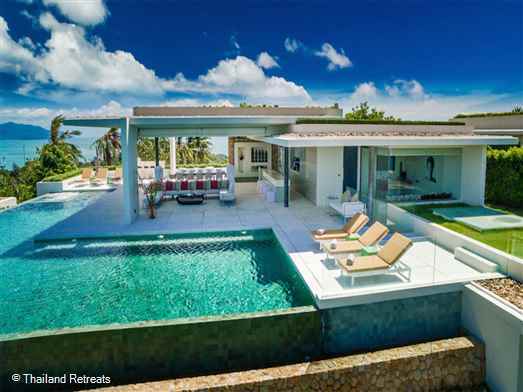 shv: Villa Hin is tropical living at it's best with stunning views and spacious living spaces inside and out built and designed beside a rock formation. 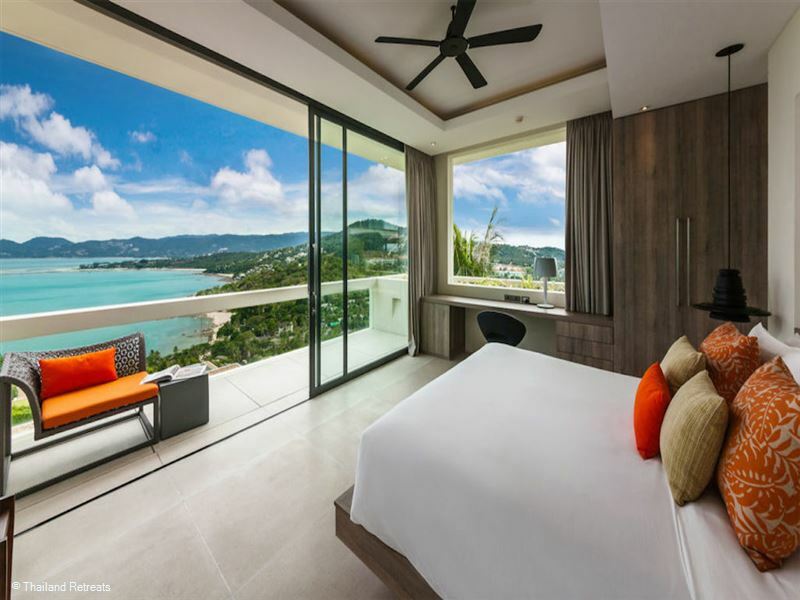 Close to amenities and popular beaches this fully staffed luxury Koh Samui villa has 5 luxury en suite bedrooms - perfect for a group of friends or family. Close to amenities and tennis court nearby. 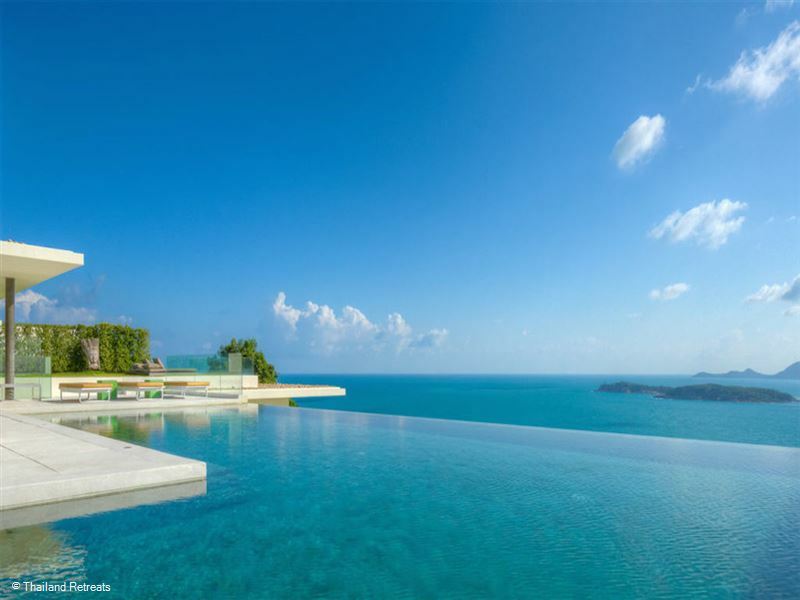 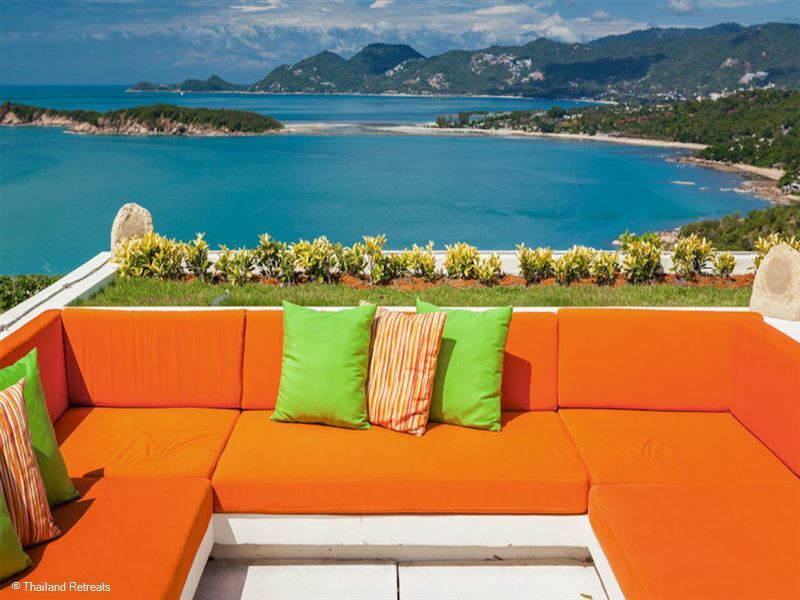 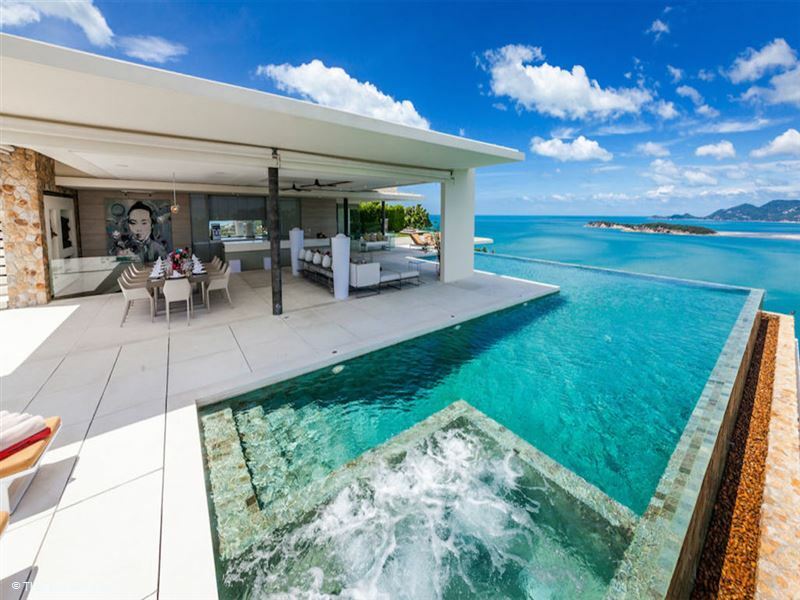 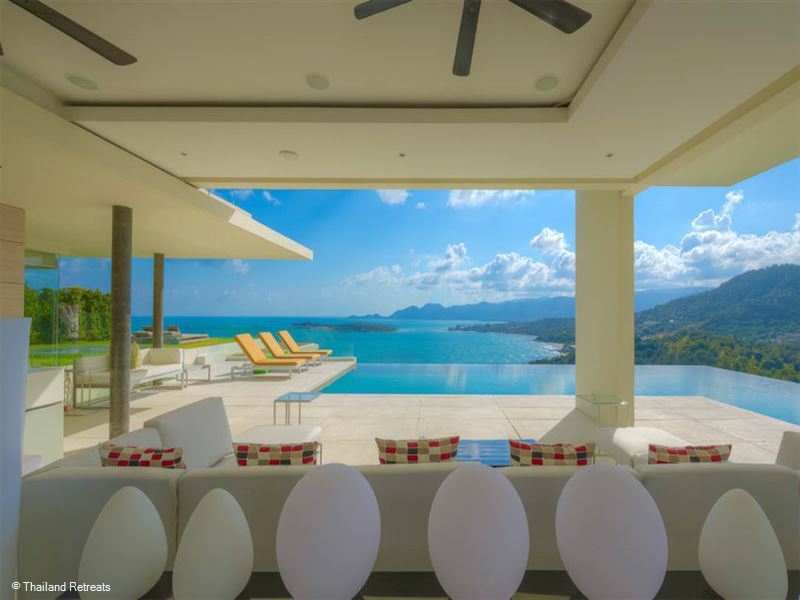 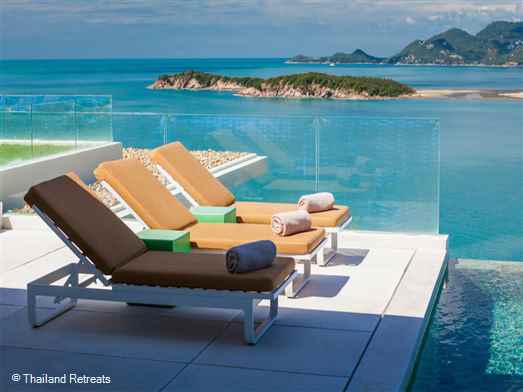 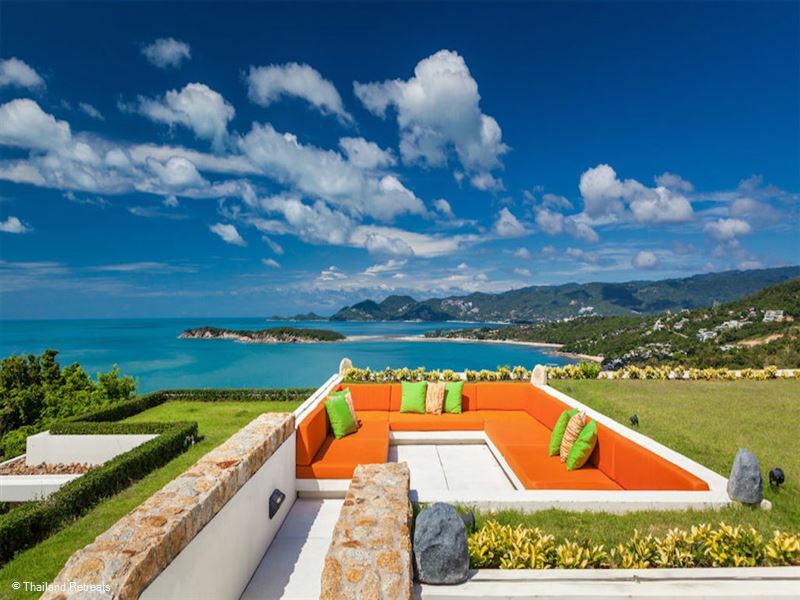 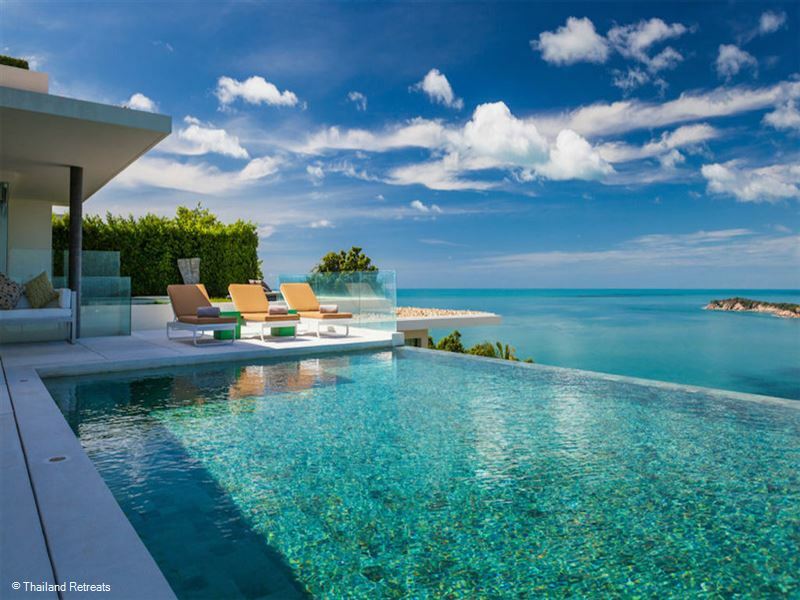 A stunning ocean view luxury Koh Samui villa offering the ultimate in tropical living featuring a gym, pool table, roof top BBQ area, a cinema and communal tennis courts.